This course will introduce students into the world of three-dimensional computer graphics. Through this hands-on-course, students will learn how to use 3D software to realize ideas in sculpture, virtual environments, 3D modeling, installation, and rapid prototyping. Class lectures and hands-on studio time will incorporate technique demonstrations, discussions, technical exploration, aesthetic inquiry and historical information relevant to the course. Software covered: Cinema 4D, Poser, and Adobe After Effects. Outside work required. Prerequisite(s): AVA 160 or AVA 320 or permission of instructor. Discrete signals and systems; classification and properties of systems; difference equations; Z-transform; Fourier series, Fourier transforms, the DFT and FFT; filters and filter design; A/D and D/A converters; applications to audio signal processing. Prerequisite(s): ECE 240 Corequisite(s): ECE 241L Includes a weekly lab. ECE 370 Engineering Acoustics Y NWSE 100 TTH 9:00am-10:45am Catravas, P.
Offered three years out of four. A study of Asian American literature in its historical context beginning with the first wave of Asian immigration in the nineteenth century, moving to the anti-Asian Exclusion Acts, Japanese internment during the Second World War, the 1960s Civil Rights Movements and the emergence of Asian American Studies, Southeast Asian refugee experience, and concluding with contemporary Asian America. This course will be looking at the changing nature of Irish society since the economic boom of Celtic Tiger Ireland in the 1990’s. EU membership, US investment and the effects of global internationalism have brought about radical culture transformations in the country which in turn are altering conventional meanings of Irishness and Irish identity. We will be looking at representations of this changing Ireland in literature and film, paying attention to issues such as new technologies, post-feminism, sexualities, race and ethnicity. Texts will include Martin McDonagh’s In Bruges, Anne Enright’s novel The Wig My Father Wore, and the poetry of Leanne O’Sullivan. FLM 201 Documentary Film Making KARP 103+ TTH 10:55am-12:40pm de Sève, J. This class introduces students to the basics of documentary filmmaking. 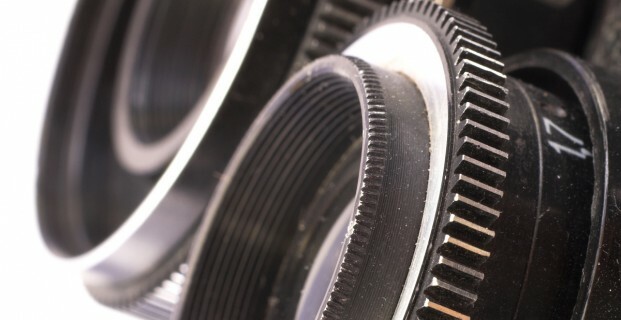 While covering enough technical know-how to successfully complete class projects, the class will keep its focus on documentary form and storytelling techniques. Students will practice storyboarding, writing synopses and treatments, and deconstructing well-respected documentaries to analyze how they were made. The primary course activity is the production of a short documentary (around 20 minutes) which can be done individually or in groups of two. Besides his or her own work, the student will be expected to participate in screening nights in which students will share each other’s work for peer evaluation and discussion. There is also the option of organizing screenings open to the entire student body. FLM 202 Digital Filmmaking KARP 103+ TTH 1:55pm-3:40pm de Sève, J. This intensive hands-on class guides students from concept to finished film. Students practice the essentials of filmmaking technique, including storytelling, camera work, lighting, sound and editing. Students must be up for a challenging schedule and will make a film each week as they explore the nuts and bolts of moviemaking.